Here at the Thexpos we strive to Create the perfect ambiance between both wedding vendors and couples to produce the wedding of your dreams. Bringing together the wedding industries top professionals and latest wedding trends, all in one day and all in one location. Allowing you to see all the various options and details to truly design your own fairy tale love story. Meet vendors face to face to discuss questions, compare pricing, look at photos and visualize your wedding décor. Expect amazing wedding entertainment, wedding cakes and catering samples, the best and latest bridal fashions. We hope to inspire your perfect day and to make the wedding planning process a breeze. Our wedding shows can do just that! We have gathered the top wedding professionals to serve as inspiration for your beautiful day and to provide a one of a kind wedding experience. Come ready to meet wedding professionals from every category and be fully entertained all day long. Try cake samples, wedding fashions, jewelry options, and so much more. Every single detail you will need on your special day! Become one of TheXpos premier wedding vendors and open the door to eager couples who are ready to plan the wedding of their dreams. 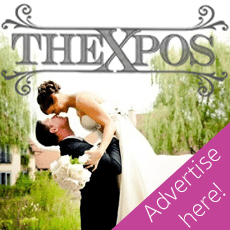 For several years Thexpos have produced some of the most spectacular and sought-after wedding shows in the industry. Our customer service is above and beyond, and vendor satisfaction is among our highest priorities. Expect to work with the best wedding professionals and truly see the value of your time and investment when participating in TheXpos wedding show. Now it’s time for the fun part, creating and planning your special day. Meet all our wedding professionals and come prepared to mark things off your check list and to be inspired to turn your wedding dreams into a reality.